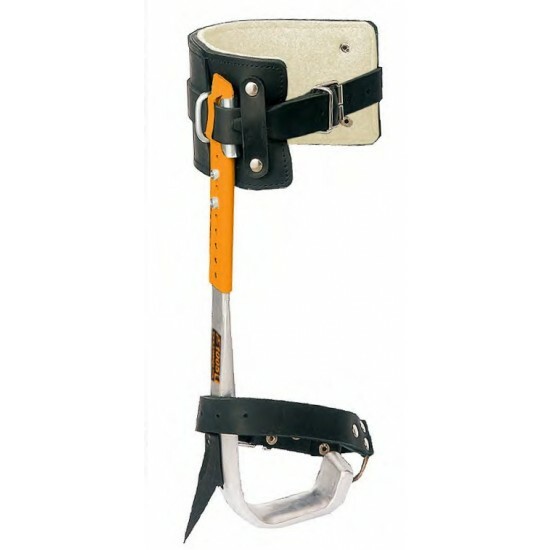 Fully adjustable alloy climbers, with steel reinforced leg brace. Comes complete with long and short gaffs and a handy tote bag. Leg brace is articulated to reduce chafing and improve climbing.